The surface of the skin contains many holes, or pores, and blocked pores occur because of too much oil production. Your skin has glands which naturally produce oil to moisturize skin. You can think of a pore as being open or closed, unblocked or blocked. Blocked pores become enlarged and your skin may look or feel thicker. The blocked pores are plugged with sebum, dead skin cells and bacteria. Blocked pores are what lead to the formation of blackheads, and then eventually to pimples and acne. Unlike what some people think, blackheads are not black because they are dirty. They are black because of a pigment in skin cells, named melanin. While it might seem like blackheads form very fast, each blackhead actually takes nine months to appear. The only way to get rid of blackheads is to physically remove them. You need to literally pull the blackhead out of its little tubule. It is not good to squeeze blackheads out of the blocked pores, because it can lead to inflammation of the pores and because bacteria is involved, you could get an infection. It is a lot easier to try to prevent blackheads than it is to get rid of them. Always keeping your skin very clean is a good start. In order to have open instead of blocked pores, it is necessary to wash and exfoliate your skin daily. It is on your face as that is where blackheads are most likely to form. This is one of the reasons people use peel-off face and body masks. When you peel them off, the oil and dead cells are removed from your pores. If you do decide that you want to pull out your blackheads, get some ice cubes so that you can rub your face with them when you are done. This will lessen the swelling and help your skin pores to appear smaller. If you wash your skin with natural oils, such as coconut oil, you can clean your skin without blocking pores. Don’t use products on your skin which include alcohol, any kind of sulphate, mineral oil or propylene glycol. While alcohol cleans many things, skin is not one of them. Dermatologists say that you can keep blackheads from appearing by controlling what you eat. The right foods can keep sebum production in line and skin will be properly moisturized. Their advice is to lower your intake of cooked fats and carbohydrates. Replacements can include raw fats such as olives and olive oil or avocadoes, plus fresh fruits and vegetables. Many types of make-up can cause blocked pores. Use foundations that are free of oil and always remove your make-up at the end of the day. Do not wear it to bed. You also need to keep all of your make-up applicants, such as sponges, very clean, and wash them at least once a month. Remember to always treat your skin gently. It is a living, breathing, organ. Stay away from harsh chemicals and always use sunscreen for protection from UV rays. One way to keep blackheads from forming is to wash your skin with an exfoliating product regularly. Fill a bowl with steaming water and hold your face over it for fifteen or twenty minutes. This will open blocked pores. 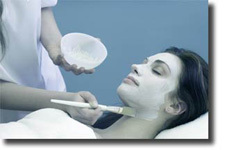 Then apply a clay mask to your face which will remove the oils. Rinse and dry your skin. Some people have to be persistent about getting rid of blackheads, while others never have any at all. It really is a matter of heredity but you can still manage the situation nicely with the many skin products on the market today.